It's a professional hair straightener loaded with new features designed with the busy professional hairdresser in mind without compromising quality and creativity. Revolutionary Far Infrared & Ionic Technology - Far infrared heat is unique because it gently heats the hair from inside out producing negative irons to seal the cuticles and repel humidity, hence no frizz and no need to keep going over the same section of hair! Speed is everything - Heating up to max temperature of 230C within 20 seconds its no wonder that the H2D Linear 11 is already a hit with top session stylists and hairdressers. Longer Plates - Extended plate size of 100mm(heart) X 25mm(W) which means faster performance on all hair types. The flexible high quality floating plates are coated with ceramic and infused with tourmaline to give smoother silkier, static free hair, four times more affective than normal ceramic plates. Digital LCD display - The H2D Linear 11 has a clear read digital display for accurate temperature control making it ideal for all hair types. H2D MK4 Wide Iron tames longer thicker hair... At 40mm wide, they'll make light work of straightening, curling, flicking or smoothing your hair. These stylish hair straighteners are lightweight and easy to handle. Plus, they're packed with the latest must-have technology for perfect hair in minutes. 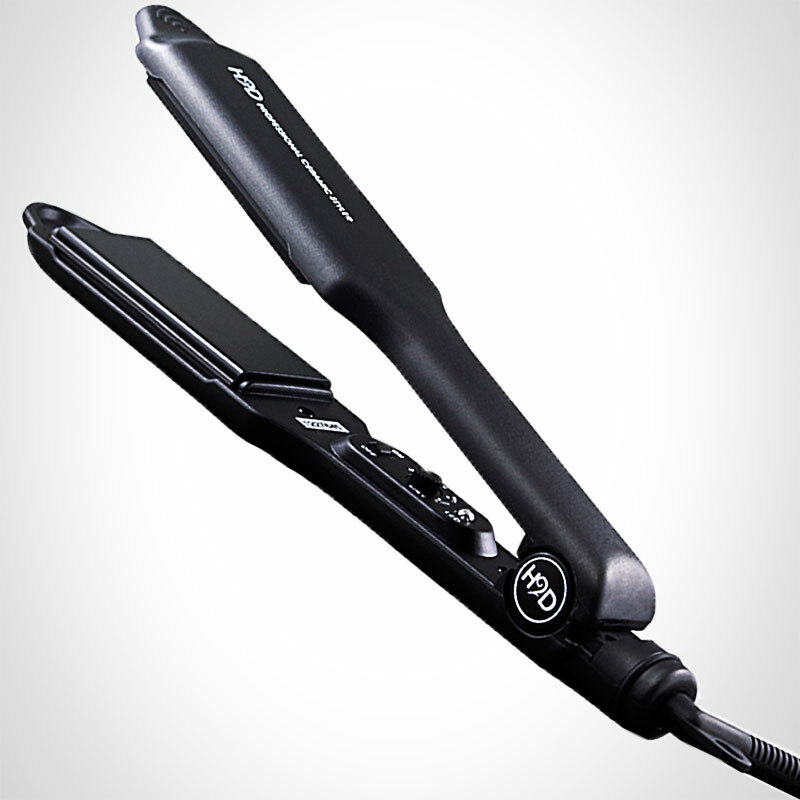 Ultra light: The body of the Salon Wide MK4 Straightening Iron is constructed using light-weight, high strength composite materials commonly used in the aerospace industry. Ultra fast: Achieves the desired temperature of 210ºC in under 60 seconds, which is less than half the time of conventional models. This in turn saves electricity, saves time and prolongs the lifespan of the product whilst leaving your hair in ultimate condition. Just right for you: our micro-processor controlled adjustable temperature lets you set the heat that's exactly right for your hair, with better results last longer. Gentle on your hair: advanced tourmaline, ion Field and infrared technology means beautiful, silky, shiny hair every time.